« How to Raise Your Children to be Readers ~ Tips for Families to Encourage the Love of Reading! Your home is your sanctuary and the place where you can really make your mark. I absolutely love home decor and design and am always looking for a way to jazz up every corner of my house with something original and distinctive. Thankfully, I've discovered that wall art doesn't always have to come in a frame. 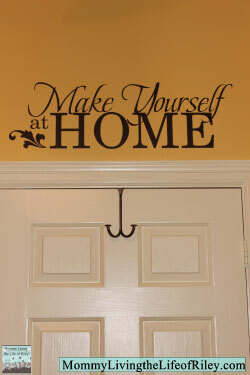 In fact, frames can be very limiting, whereas vinyl wall decals can be placed absolutely ANYWHERE! You can now decorate doors, cabinets, mirrors, etc. 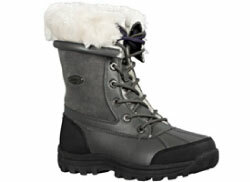 with your own CUSTOM designs! I've recently taken on the task of completely redoing our guest bedroom and knew that Say It on the Wall could give it the perfect welcoming touch with their custom graphic design options. 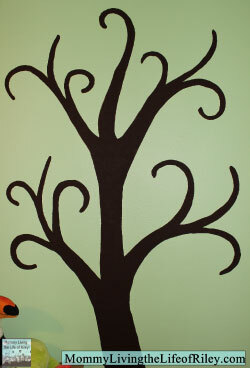 They also had just what was needed to spice up the two trees that I painted on my daughter's bedroom walls a few months back. Keep reading to learn much more! 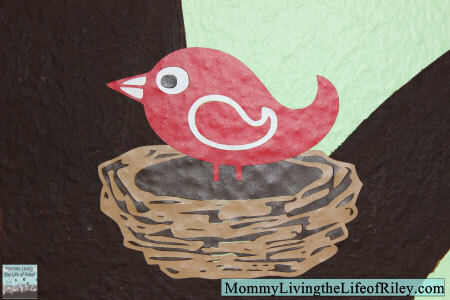 I've been so excited to have the opportunity to redecorate our drab and dreary guest bedroom. I wanted this room to feel as warm and inviting as possible, so we painted the walls a buttery yellow color and installed brand new carpeting. These two improvements made a world of difference, but I really wanted to go the extra mile with a hospitable message of some sort to grace our freshly colored walls. As soon as I saw the "Make Yourself at Home" vinyl decal from Say It On the Wall, I knew I had found exactly what I had been searching for. Laura from Say It On the Wall immediately got involved and made sure that I had the exact size and color of wall quote needed for my particular space. That's one thing I love about this company...everything is custom made and tailored just for you! I wanted this particular greeting to hang over the bedroom door itself and I couldn't be happier with the way things turned out. Isn't this beautiful and oh-so-inviting? It took me an entire weekend just to get these two trees painted and there was no way that I was going to have the time or talent to finish them up like they were designed to look. That's when, once again, Say It On the Wall came to my rescue. 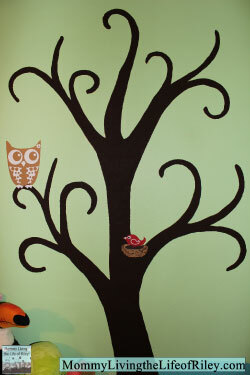 Their high quality wall art allowed me to add an adorable little red bird in its nest and a large boy and girl owl to Riley's trees in mere seconds. 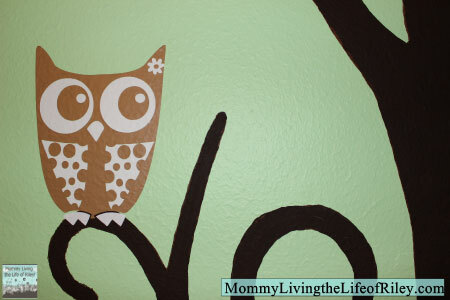 If you can peel off a sticker and stick it on the wall, then you can definitely install these wall decals! What a cinch! If you want a beautiful inspirational quote or other graphic on your walls, then I highly recommend Say It on the Wall. Laura was wonderful and helped me create exactly what I was envisioning all along. They have a unique and varied selection of vinyl decals for every room in your home. 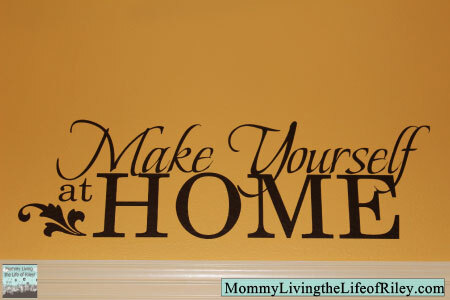 These wall decals are also very detailed and easy to both apply and remove. Jazz up your walls this spring with Say It On the Wall! Disclosure: I received the Custom Vinyl Wall Art Decals shown above from Say It On the Wall in order to facilitate my review. No other compensation was received. This product review is based on my own personal experiences with this item and is completely honest and objective.